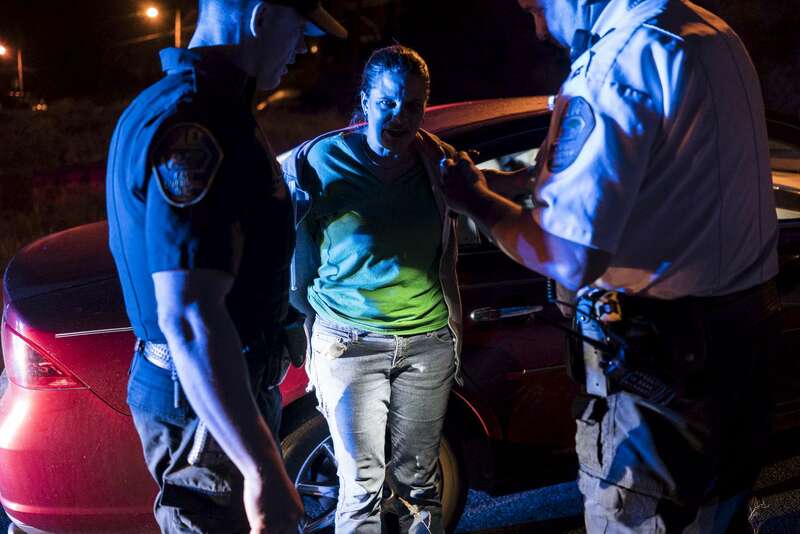 East Liverpool, OH - October 8, 2016: Crystal, a known drug user, is stopped by police after she was observed making frequent trips in and out of a building in Downtown East Liverpool. Initially resistant to being searched she was handcuffed and a small drug pipe was found stuffed in her pants. She was let go with a warning and the pipe was confiscated.